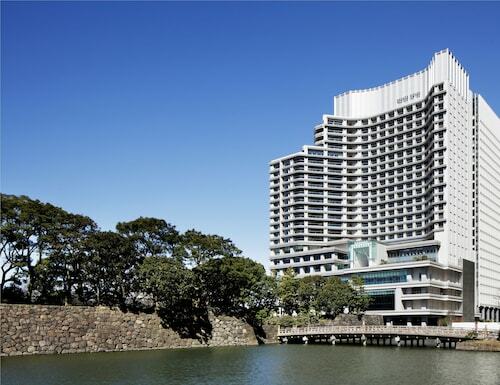 Grand Nikko Tokyo Daiba is on the waterfront of Odiaba Island, a 20-minute drive from Haneda International Airport. 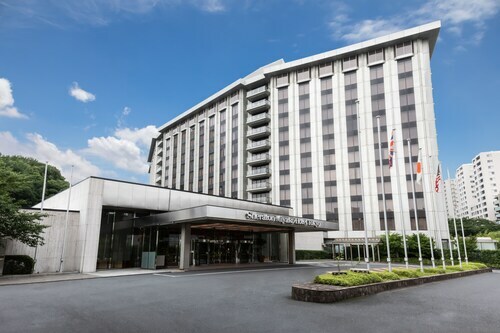 There's a monorail station connected to the hotel, and Tokyo Big Sight convention center is 6 minutes away by cab. 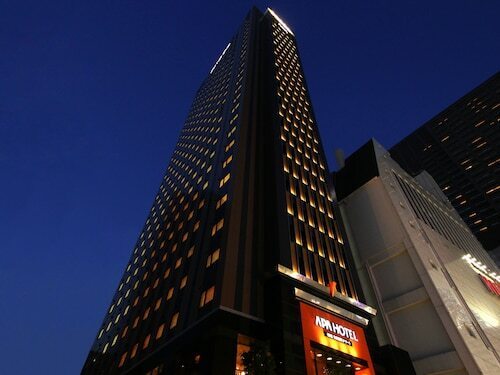 Located in Shinjuku, this luxury hotel is steps from Shinjuku Central Park and Tokyo Metropolitan Government Building. 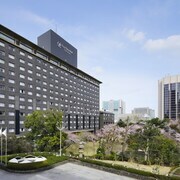 Shinjuku Gyoen National Garden and The Tokyo Metropolitan Government are also within 1 mi (2 km). 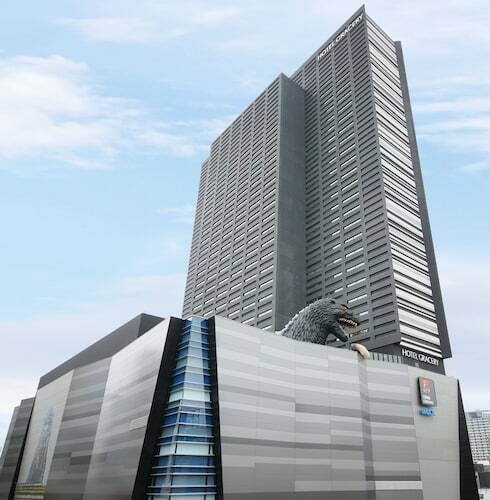 Tochomae Station is only a 4-minute walk and Nishi-shinjuku Station is 6 minutes. 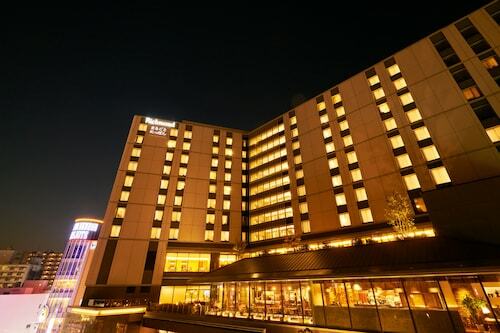 Sheraton Miyako Hotel Tokyo is in the affluent Shirokanedai District, with a free shuttle to Meguro Station that puts the whole megacity within easy reach. It's a 12-minute walk to the exotic gardens of the Institute for Nature Study, and just a little farther to the boutiques along Platinum Street. 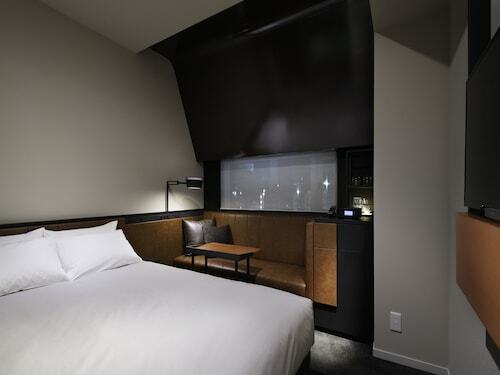 This family-friendly Tokyo hotel is located in the entertainment district, within a 10-minute walk of The Tokyo Metropolitan Government and Shinjuku Central Park. New National Theatre Tokyo and Tokyo Opera City Concert Hall are also within 15 minutes. Tochomae Station is 8 minutes by foot and Nishi-shinjuku-gochome Station is 12 minutes. 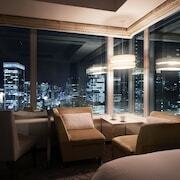 Overlooking Tokyo's Shiodome area and the Tokyo Bay skyline, this high-rise hotel is five minutes from the Ginza Shopping Street. Hamarikyu Garden and the Tsukiji Fish Market are within 0.7 km (0.4 mi). 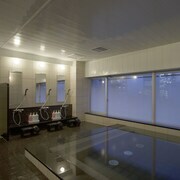 Located in central Tokyo where it is a 5-minute walk to the Imperial Palace, and a 10-minute walk to downtown area Ginza. 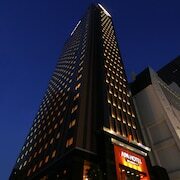 It is 20 minutes by train to downtown area Harajuku or historical area Asakusa. 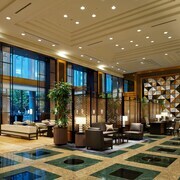 Located in Minato, this luxury hotel is within 1 mi (2 km) of Tokyo Midtown and Nezu Art Museum. Tokyo Tower is 1.3 mi (2 km) away. 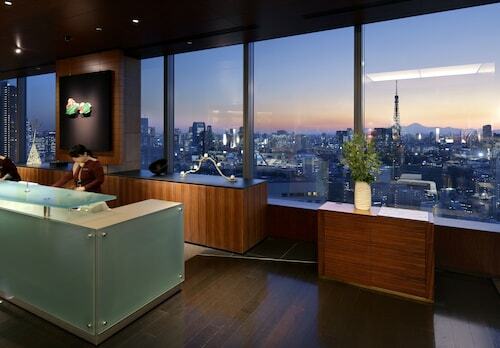 Roppongi Station is 8 minutes by foot and Azabu-juban Station is 14 minutes. It’s not a family vacation if you can’t bring the entire clan with you, is it? Next time you have a few days off from work, plan a family-friendly getaway. 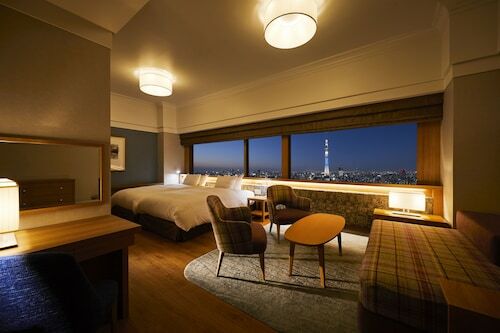 Set off on an adventure the entire family will love, and book your stay at one of the kid-friendly hotels in Tokyo. Your little ones are the most important thing in your life, so make sure they enjoy your accommodation as much as you do. From a kids-only room service menu (macaroni and cheese, anyone?) to special perks like in-room video game consoles, these lodgings provide a little something extra for the smaller members of your crew. 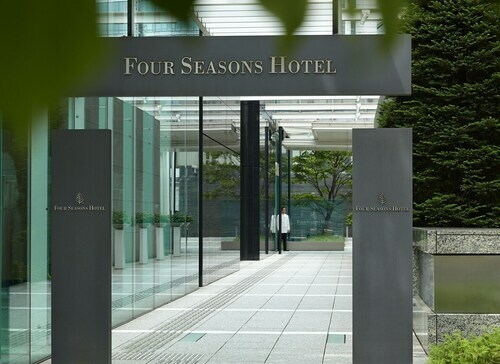 The best family-friendly hotels in Tokyo may even offer playgrounds and other activities to keep the kiddos busy. What’s more, some hotels provide a babysitting service so you can get a few hours to yourself! Whether you’re traveling with one small child or hauling around your entire extended family, Travelocity is here to help. 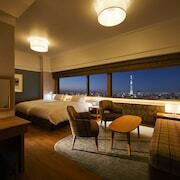 Let us hook you up with hotels for kids in Tokyo that will keep your youngsters happy without breaking the bank. You can save even more when you bundle your flight and hotel together, so what are you waiting for? Grab your family and get ready to explore! Perfect location: walking distance to Supermarket, Malls, Railway, Bus Stallion, Taxi & Subway. Airport transfer directly to & from Airport. Free shuttle bus to DisneySea & Disney Resort for guests. Very good breakfast. Beautiful view of Tower. Convenient store right across the street. 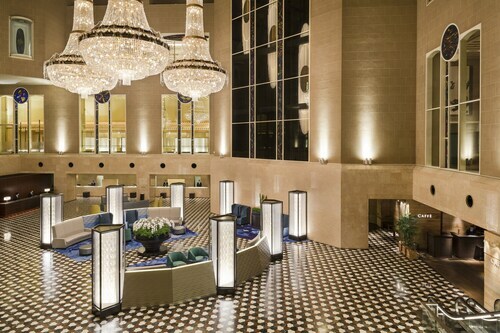 We will return to this hotel on our next trip. The loft was really cool in our room. I also enjoyed the big windows as well. The hotel itself has a nice artwork and very clean. 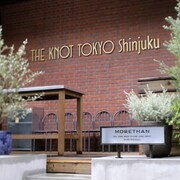 Staff was great! Location was within walking distance of the station and made moving around the city easy.